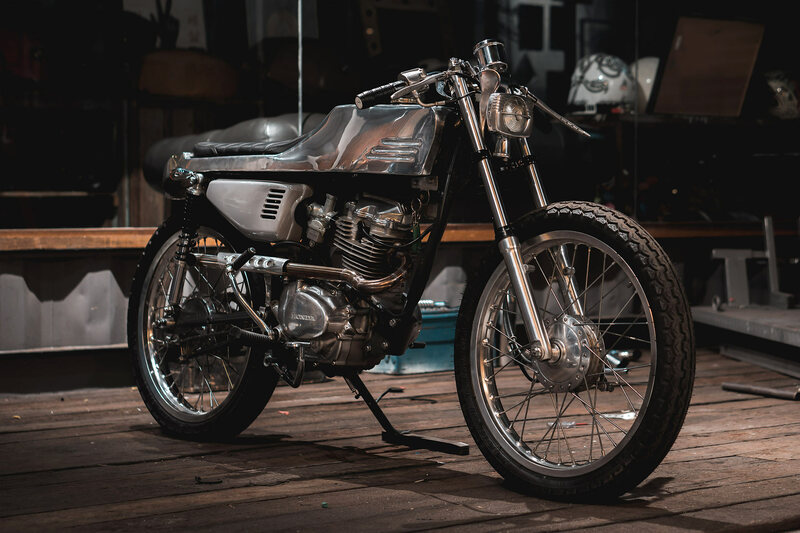 Over recent months we have featured an influx of brilliant bikes coming out of SE Asia and there is no sign of slowing down. 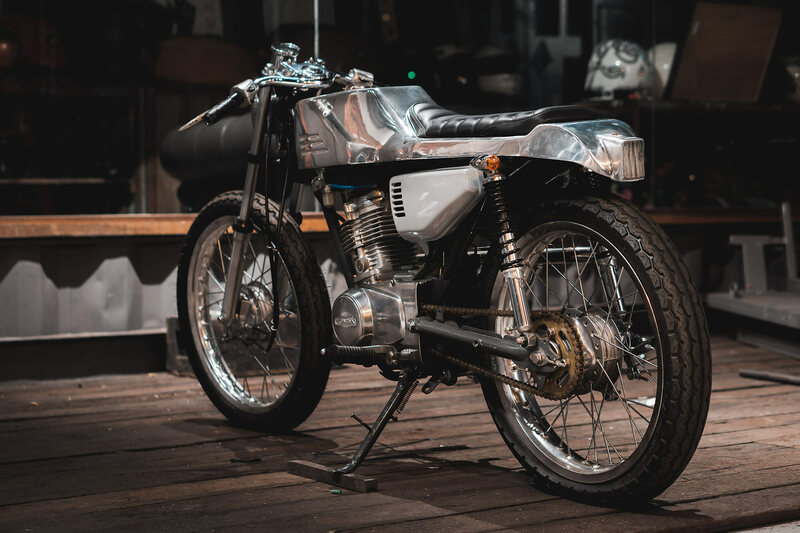 Riding the wave of the success they helped create, Malaysia’s Beautiful Machines no longer carries out service and repair work and is now strictly a custom bike one-stop shop. But having built some big dollar creations including a supercharged Harley show stopper, the team wanted to get back to basics. 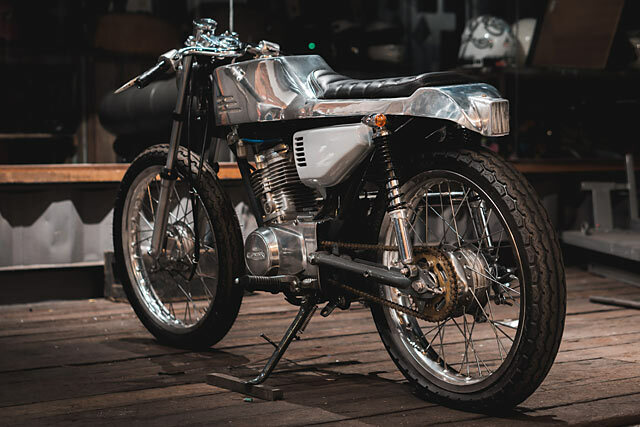 Enter ‘Kechik’, a mini monocoque masterpiece, from the very ordinary Honda CG125 comes this extraordinary little build. 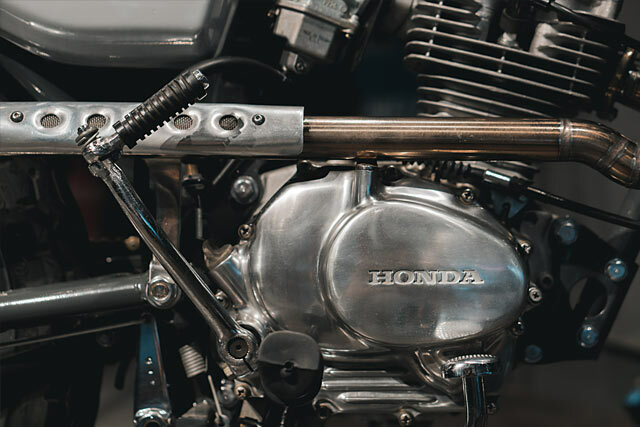 But before we start it’s worth looking at what the CG125 is all about, a motorcycle produced by Honda to service developing markets around the globe. Back in the ’70s the engineers at the big H were given the brief to take the existing CB125 and make it more basic, more reliable and even easier to work on. And let’s be honest, it’s not like they were starting with a technological wonder to begin with. But having stopped counting sales figures at ten million, sold around the globe and being absolutely unbreakable, it’s hard to argue that it hasn’t been an amazing success. 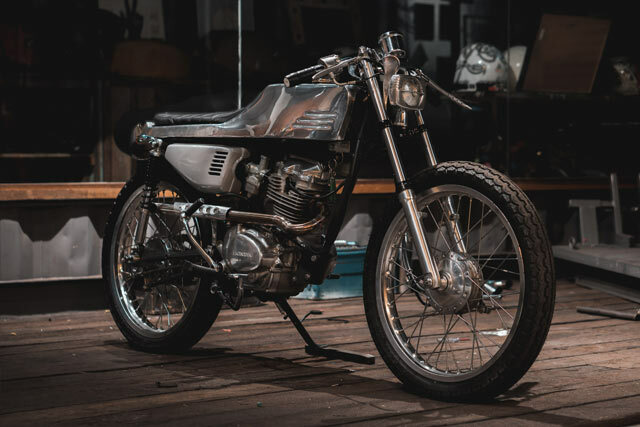 So it should come as no surprise that in a chop shop in the back streets of Penang this particular bike, an ’80s model, was found looking tired and tatty but still running like a dream. 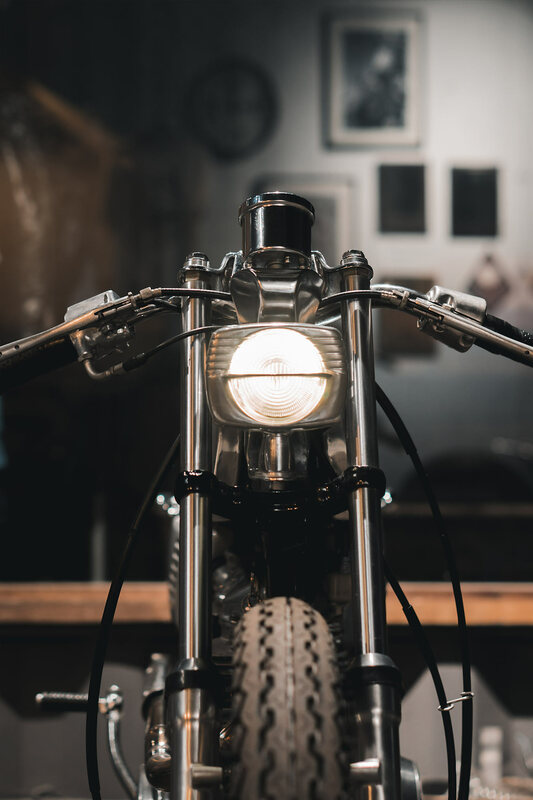 “Our friend has been following us and what we do, and he thought that this would be a fun project to start with, so he bought the bike and sent it over to us,” explains Julian. The build’s name, ‘Kechik’ means small in Malay, but colloquially it is also used as the name of the youngest sibling in a family. Which was how the BM team approached the build, “to try to build this bike with relevant appeal in regards to class segment, aesthetics, economics, and yet still stand out from any other CG build around.” Being an incredibly popular bike in Malaysia with a long production run, means parts are cheap and the first step was to get the little CG back in full operating condition. 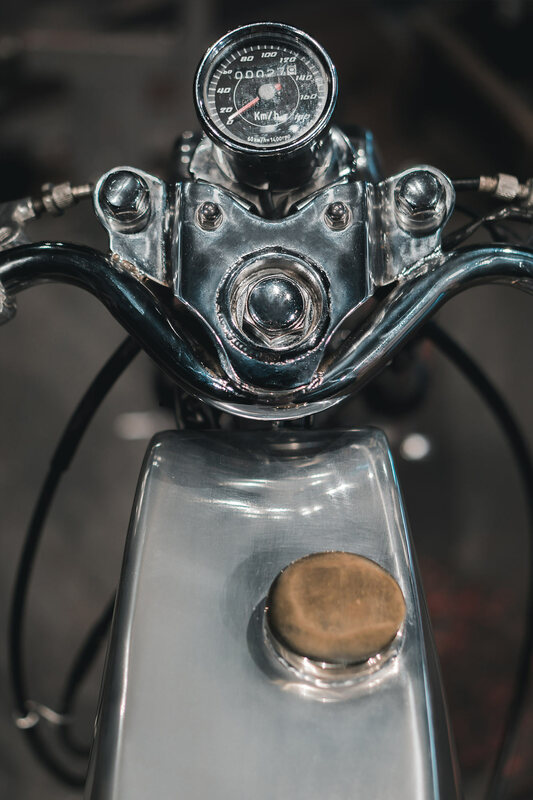 The old brittle plastics were thrown away, the oxidised parts sent to the recycler and the basics like sprockets and levers replaced. The wheels had seen better days and finding replacements for a bargain price meant the CG is treated to new rims, spokes and laced up to new hubs that include the little front drum brake. All of this new hardware was polished up to a nice shine before being wrapped in Dunlop RoadMaster rubber. Now with a rolling chassis that was functional the team started to plan out the bodywork that would be the signature piece of the ride. 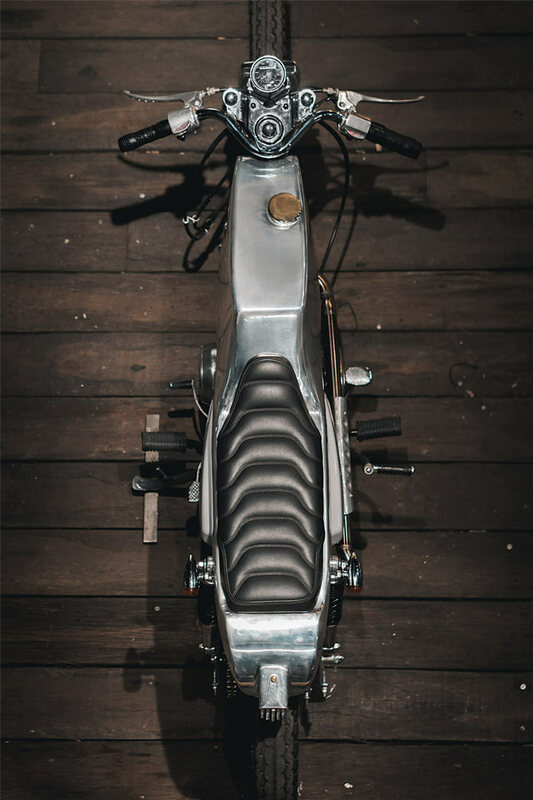 “We wanted to keep her skinny, and streamlined so we opted for a one piece tank and seat setup that was built entirely out of aluminium,” explains Julian. The soft metal was hand shaped, with each piece being slowly fettled, offered up and then worked again. With the factory side covers to be retained the sides of the tank area have three bead rolled lines to match the vents on the covers. It was then all welded up, including the fitment of a brass filler cap, before being pressure tested to ensure no leaks. Not wanting the taillight to be anything like the factory item that hangs out the rear, large, plastic and ugly the boys decided to integrate it into the bodywork. Using perspex for the lens, it’s broken up by individual alloy slats to mirror the rest of the bodywork and backlit with red LEDs. 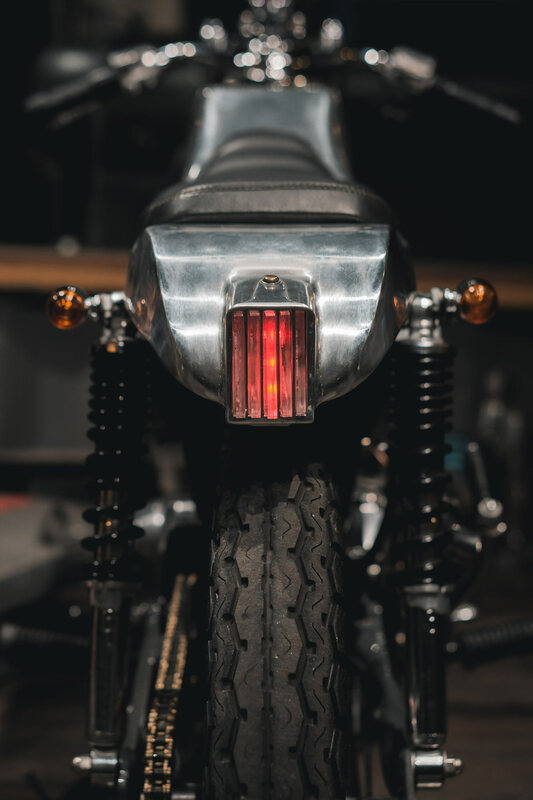 To match a vintage chopper headlight was chosen for the front end and a set of bullet indicators finish out the lighting. The final piece of the bodywork puzzle was to affix a nice place to sit and a black leather seat was stitched together with matching grips. 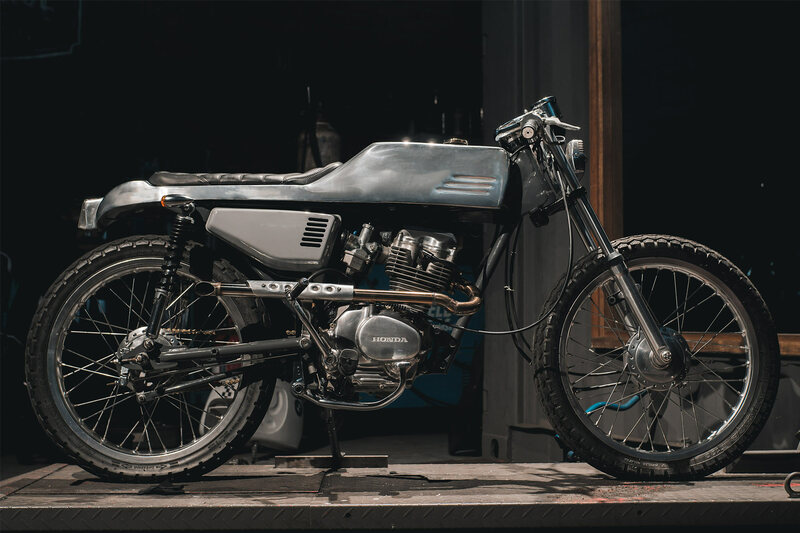 Before the new body was bolted down for the final time the frame was smoothed out and along with the swingarm painted in a deep grey to offset the polished alloy. A new set of shocks was purchased and the springs painted black, while the skinny front forks get a polish and paint. 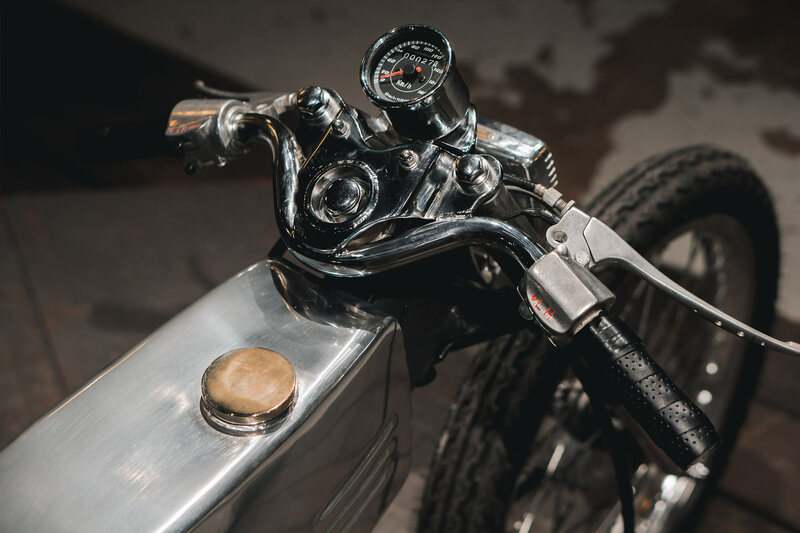 Wanting to keep that narrow look going the team turned to the bars, “We knew that for this look, the handles had to be low but clip-ons would have been very typical, so we threw out the top clamp, made a new one that had the handlebar integrated as one piece.” says Julian. 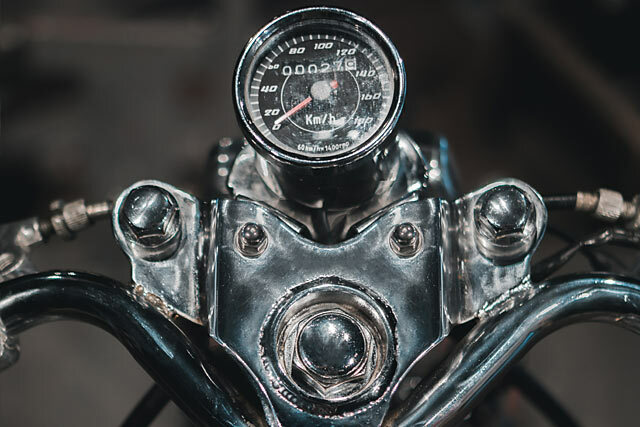 The dorky instrument cluster has been thrown aside and replaced with a single speedo unit on its own streamlined alloy mount. Finally the team turned their attention to the engine and gave it a new carby breathing through the stock airbox and a good spit and polish. 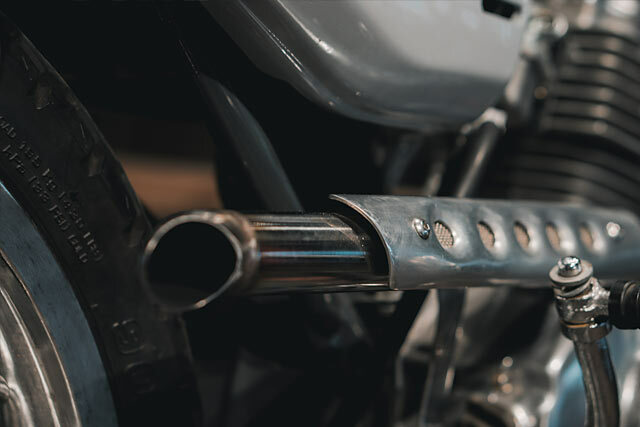 It might be a budget build but the beautifully bent exhaust is all class with neat TIG welds on the stainless and an aluminium heat shield to complete. 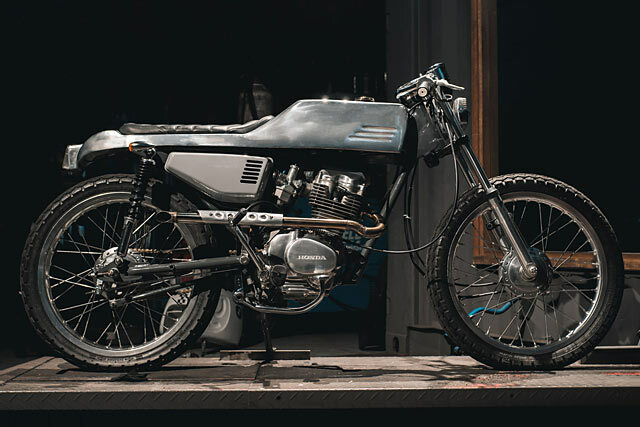 With that Beautiful Machines have given one of the world’s most dependable commuter bikes a proper custom makeover. 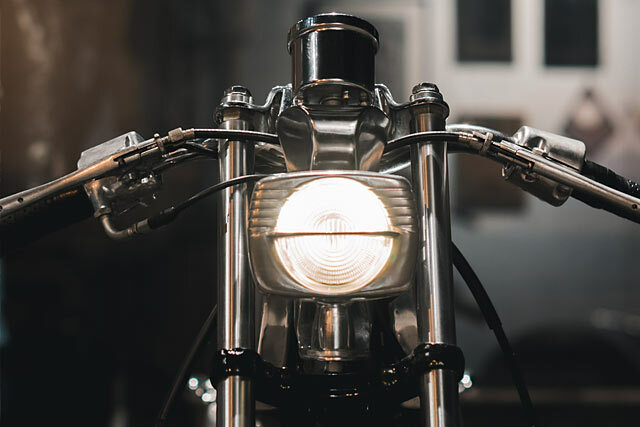 Now they’re keen to turn their attention to BMW’s R series and show their unique style can breathe life into another well trodden path.